Dexter was founded in 1868 and quickly found itself growing into an sprawling town filled with business ranging from the manufacturing of washing machines to shoes and every industry in between. Located at the edge of Dallas county, Dexter was a stopping off point on a main route to Council Bluffs and points west. It became the door way to the rest of Dallas County. Currently Dexter is featuring many historical sites. The Dexter Museum in the center of town contains exhibits of old machinery, tools, clothing and photos chronicling the towns history. Lovers of unique buildings will enjoy a stop at the Roundhouse. It can be found almost in the center of town, about 1 block west of Marshall St on Dallas St. Constructed in the early 1900's, it stills stands today as a testament to the quality of workmanship that was present in the early days. Construction is complete on the Old Dexterfield Park Historical markers. 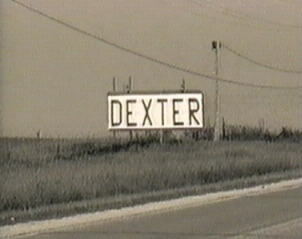 They commemorate a once very popular gathering spot for Dexter and the surrounding community. They are located aprox 3 miles north of Dexter on Dexfield Rd, very close to the orginal location of the old Dexfield Park. With Dexter's rich historical background several organizations within the community are working to preserve this historical background and make it available to the general public. For more information check out the links below.